In order to expand the services of TheFrankSinatra.com, we now have a forum for Frank Sinatra fans too! The reason for having a forum is to create an environment where people can talk anything about Frank Sinatra freely, since we lack such a place as Sinatra fans. Topics about Frank Sinatra will be visible to every forum member and visitor. This will be the place to talk about Sinatra’s albums from different eras, concert and other performances, musical career, movies, personal life etc. In order to be able to post in and view the Audio-Video section, a user should have 100 posts in forum, and it will be worth it. YouTube will be used to share performances, as it automatically removes the performances with copyrights. Copyright is very important in this matter, as for both legal and ethic reasons, we should respect the owner of the material. When a video is added on YouTube, the system automatically checks the visual and audio part of the uploaded file and blocks the video to all users if it violates the copyrights. In order to introduce users with concerts and other material, a person with 15 posts will be given a full concert link and two audio concerts. Once a user reaches 50 posts, two additional concerts and three more audio concerts, which are uploaded to YouTube by me in private setting, will be given to the user. After 100th post, the user will be given access to audio – video section of the Frank Sinatra Forum and from here to eternity, all already available material and the material coming in the future will be fully available. This means that a user with at least 100 posts will have access to at least 25 video concerts and 200 audio concerts in a long term. Contribution by other users will highly increase these numbers. I hail from North Jersey, not far from Hoboken. 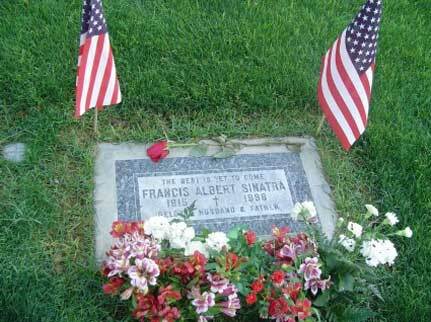 Coming from an Italian family in North Jersey, Mr. Sinatra is considered our patron saint. I grew up listening to his velvet voice. Whoever coined the phrase “Chairman of the Board,” was so right. No singer – even Elvis, whom I also like – comes close to Mr. Sinatra. His voice has actually become a symbol for lovers everywhere. My only regret is that I never got to see him in concert. your so right no one comes anywhere close to him I have to listen everyday. If you find your copy of “Sacred Sanctuary” — or if anyone else does — I’d love to see it! wasen’t he just the greatest I consider myself his greatest fan whats your favourite song? mines” I’v got you under my skin” strangers in the night ” and I’ll never smile again. Thirty-five is hardly the time to retire from chasing girls. I have added another two verses to “A very good year”, in the spirit of the original, which I hope you appreciate. As they swigged Malibu, when I was fifty-two. But we got on just fine, when I was sixty-nine. Hello Forum-readers. I don’t know much about F.S. but lately I heard on the radio during a late night program a song sung by The Voice. Since then I try to find out from which album it is. As I was driving by night in Portugal or Spain, I even don’t know which station it was and I can’t ask them their playlist of that night. There was no comment, just the tape. I cannot tell you the name of the song but I will try to explain, maybe that will be enough for the real experts to tell me where I have to look at. Actually it was the rythm that impessed me : it was just like the repetitive sound of a train on the tracks. The orchestra seemed to be a big band to me but not very 30’s. Is there any LP of Sinatra with on ore more songs with a sound corresponding to this (I have to admit : brief) description ? I would be very grateful to hear about it. Thanks for any help. 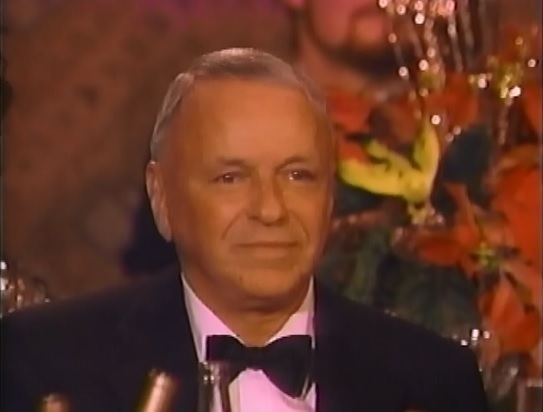 I am well aware that most everyone on here is in love with Sinatra, but I don’t get it. He really isn’t the best at anything. Some might say that he is a great singer or a great actor or just a great personality. I disagree with all these points. I’d like all of you true Sinatra fans to go watch the film Robin and the 7 Hoods. For those of you that are not familiar, it stars Sammy Davis Jr., Bing Crosby, and Dean Martin. If you go watch the movie or re-watch it, as long as you keep an open mind, you will likely see that he is the worst looking, the worst singer, and the worst dancer. Crosby is the best singer and Dean Martin is the best looking and the best dancer hands down. As for the notion that he was great simply because he was a great guy, consider that he was also famous for his mob connections. When JFK visited California, he stayed not with Sinatra but with Crosby, specifically because of Sinatra’s connections to organized crime. Arguably the most corrupt president ever wouldn’t even stay with him because he was too dirty for his image. worked with a guy called Trevor Smith who was a dedicated Sinatra fan. I was younger than Trevor and did not understand the fascination. Now I am older I do understand it. On August 10,1940 the song “falling in love” was played atop the Astor hotel with tommy Dorsey and frank Sinatra. The song was the winning amateur song and the lyrics were written by my father jack Simmons. I have the sheet music but would love a copy of the performance or transcripts of the show. Any help would be greatly appreciated. We had the record on 78 but it has been misplaced. They don’t have falling in love listed there, but they know which songs were played. So try to contact Nancy Sinatra on the forums for more information. You can also contact this person, he might also help. Hello, I’m the person that was suggested to contact through Guitars101. Sinatra sang the song “Falling In Love” twice in concert in 1940 backed by Tommy Dorsey & Orchestra. The dates were August 10th and August 17th, 1940 at the Hotel Astor in New York. Both concerts were broadcast over the NBC Red Network. I have not come across either concert in circulation but the complete set lists are known for both concerts so maybe they’re out there somewhere. I know RCA has a number of these shows in their vaults and it’s possible they might have a copy. very interesting to read all this sinatra information on this website. i have been an admirer and fan for more than 50 years. His magnetic electric personality had an awful lot to do with his popularity and fascination. He was a unique one off. I consider his Capitol recordings with Nelson Riddle in the years 1953- 1958 to be his absolute peak. I have also been an admirer of his acting in the movies such as The Man With The Golden Arm and The Manchurian Candidate. Nobody has even come close to being so good as he was. I’m researching information about Berwick, PA’s famed West side Park (Ballroom). Did Frank Sinatra ever play there and does anyone have specific dates?